1 . 你發生了什麼事？/ What happened to you? 2 .那玩意兒有多快？/ How fast does that thing go? 3 .你認識某人嗎？他也坐輪椅。/ Do you know so and so in a wheelchair too? 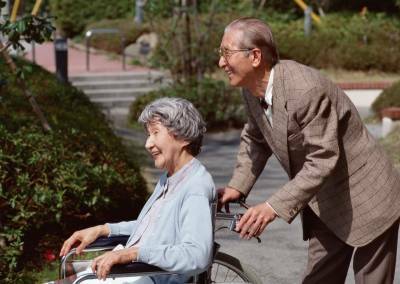 4 .你的另一半也坐輪椅嗎？/ Is your significant other also in a wheelchair? 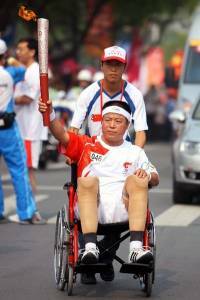 5 .我要是殘疾了，我寧可去死。/ I 'd rather die than be disabled. 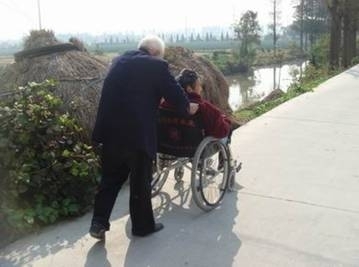 6 .對於一個坐輪椅的人來說，你真好看。/ You 're good looking for being in a wheelchair. 7 .你真棒。/ Good for you. 8 .我能問你一個私人的問題嗎？/ Can I ask you a personal question? 9 .慢點兒，你可能會拿到超速罰單的。/ Slow down there. You might get a speeding ticket. 10 .嘿，急速賽車，你能表演特技嗎？/Hey speed racer. Can you pop a wheelie?